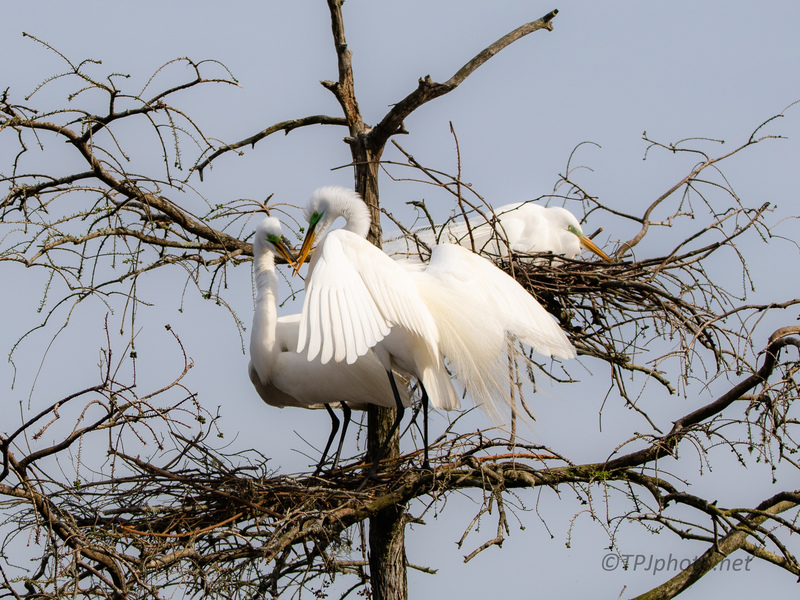 These are several Great Egret photographs I had placed in a ‘to do’ folder a week or so ago. All from the same swamp rookery. Because I just visited the same place, and so much has changed, I thought it was time to publish them. 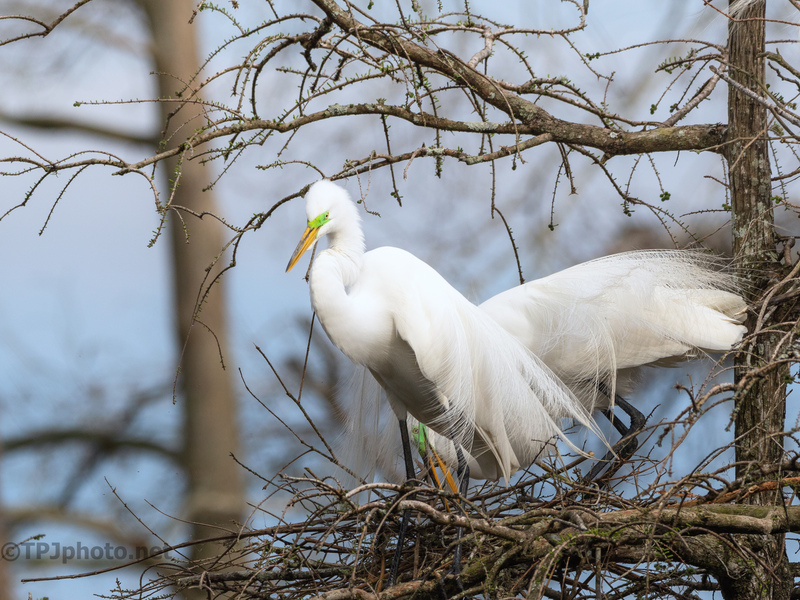 Both Egret pair, above and below, have been evicted by aggressive Anhinga. 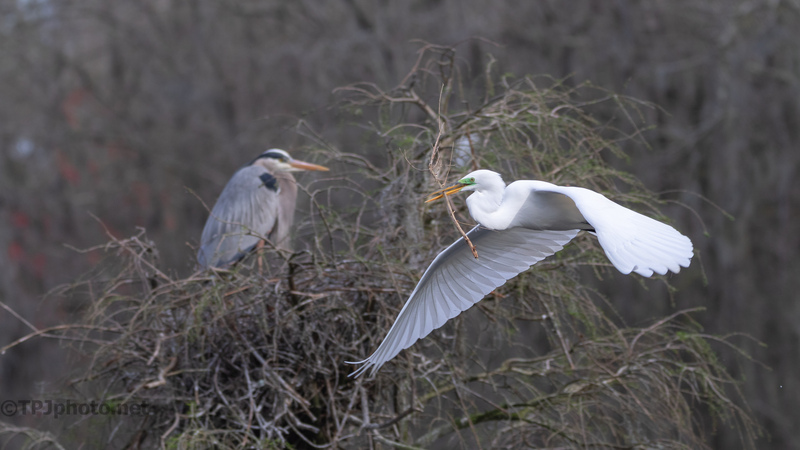 This surprised me since the Egrets are typically the bully. When I saw this first happening I was concerned the Egrets would just leave. But they started over in other nearby branches. A few chased away Anhinga taking their nests. The building, and chaos goes on. The Herons start earlier so most have larger chicks, sadly they are not completely immune from the craziness.